The car wash is located on Paine Street between McDonald’s and the post office. 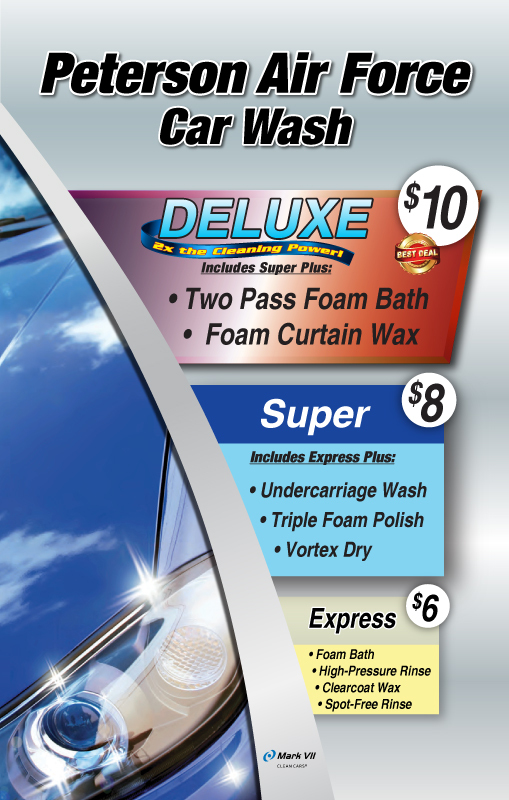 Now it includes a Touchless Car Wash. You stay dry while your vehicle gets clean from top to bottom and leaves looking great! Washing your car extends its life. Be sure to wash where dirt and road chemicals may have accumulated – inside wheel walls, under bumpers. Before using the foamy brush, rinse the brush head with the spray wand to be sure there isn’t any dirt or particles that might damage your vehicle’s finish. If you have questions about the car wash, call Arts & Crafts at 719-556-4867, Option 2.